Is it possible to tile using only ? Surprisingly, this problem can be solved thanks to the van Kampen diagrams used in group theory. Let be a group presentation. 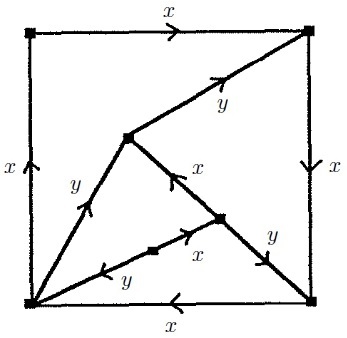 A van Kampen diagram , relative to , is a finite connected planar graph whose edges are oriented and labelled by the generators , such that the word labelling the boundary of any cell of (ie., any bounded component of ) is a relator . For convenience, we call the word labelling the boundary of the unbounded component of the boundary word of . 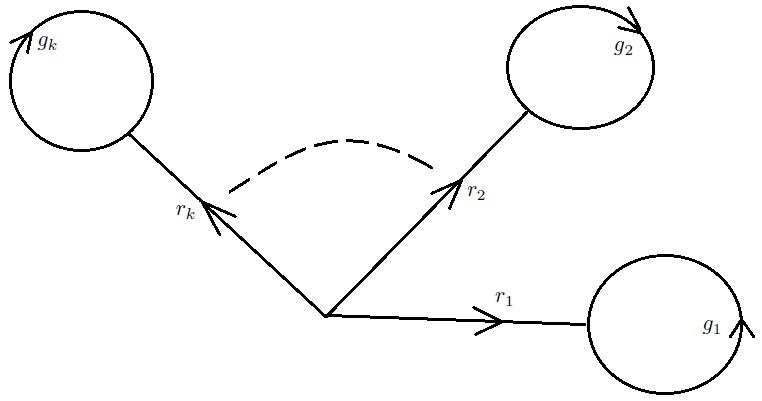 For example, if we consider the presentation , the following graph defines a van Kampen diagram (relative to ) whose boundary word is . Theorem 1: Let be a group with a presentation . 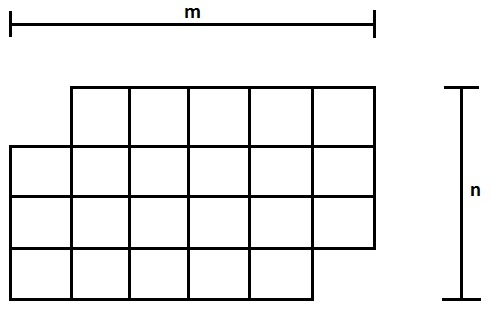 A given word written over is equal to in if and only there exists a van Kampen diagram , relative to , whose boundary word is . Clearly, it defines a van Kampen diagram whose boundary word is . 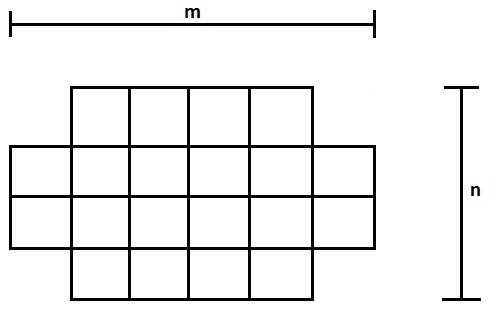 Theorem 2: If a chessboard can be tiled by a set of dominoes , then its boundary word is equal to in the group . Theorem 3: can be tiled by if and only if and don’t have the same parity. in . Therefore, these words are not equal to in as well. According to Theorem 2, we conclude that cannot be tiled by if and have the same parity. clearly yields a tiling of by . 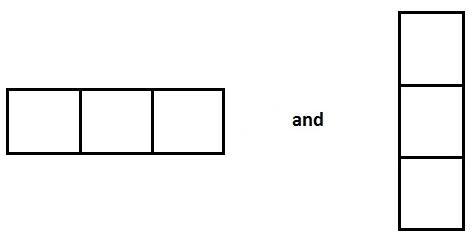 In fact, Theorem 3 can be deduced from the following tricky argument: First, it is obvious that if can be tiled by then must have an odd number of squares. Thus, if and are both odd, cannot be tiled by . Secondly, if we color the squares of in black and white exactly as a true chessboard and if are both even, then is obtained from a chessboard by removing two squares of the same color, say two black squares. But, if we color the dominoes of so that they contain a square of each color, we deduce that, if could be tiled by , it would contain the same number of black and white squares. Therefore, we conclude that cannot be tiled by if and are both even. Theorem 4: can be tiled by if and only if or is odd. 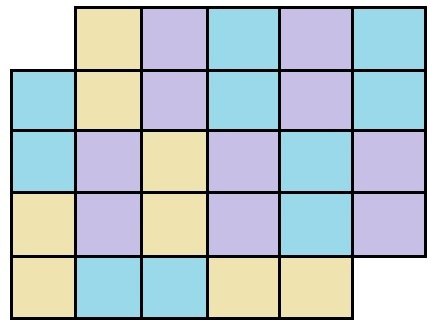 Theorem 5: can be tiled by if and only if . The proof is left as an exercice. 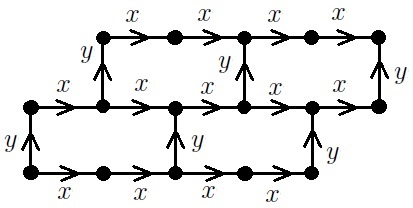 This point of view was introduced by Conway and Lagarias, in their article Tiling with polyominoes and combinatorial group theory, and was also exploited by Thurston in Conway’s tiling groups. See also Hitchman’s article, The topology of tile invariants, and references therein for more information.